Now that the winter weather has arrived here in Lexington MA. You are probably looking for things to do that don't evolving being outside. Cary Memorial Library has many events/activities to enjoy from toddler to adult. Below are some helpful links. Feeling the Lexington Chill? How about a Fireplace? It’s the time of year when frightful weather makes many people think, “Man, I would love to warm my feet in front of a fire.” Fireplaces rank high on the most-wanted list for buyers—40% would pay more for one—and installing one can add as much as $12,000 to the value of your home, according to a survey by the National Association of Realtors®. And you don’t necessarily need to knock a hole in your wall and roof for a chimney, either. Here are the four basic types of fireplaces on the market, along with their pros, cons, and price. Cons: Be warned, adding a wood-burning stove or fireplace is the most labor- and price-intensive option. Not only do you need a pro to hack a hole in your house, but keeping up your firewood supply is also a job in itself. “Cutting, splitting, stacking wood? To me, I love this. To others, it’s a drag,” points out Mark Clement, co-founder of MyFixItUpLife.com. And although traditional fireplaces may feel warm, they’re actually gobbling up heated air, he says. 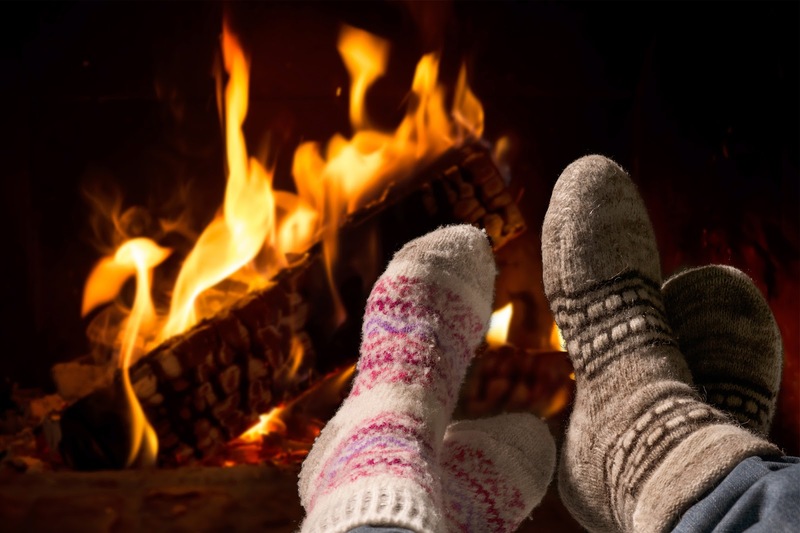 Plus, when they’re not active, cold air can enter your home through the chimney. Price: About $4,000, and you’ll have to pay a licensed mason $5,000 more to cut a hole in your wall and install a chimney. Cons: That gas you’re burning does cost more money than wood grabbed from your backyard, and you don’t get to enjoy the crackling sound and woodsy smell of burning logs. Still, it’s a great low-maintenance option. Price: About $2,000, plus $5,000 for installation, including the gas line. Pros: Who doesn’t love a fireplace that you can simply plug in? “Electric fireplaces require zero construction and installation,” explains Schneider. Plus, since you aren’t actually burning anything, they pose the lowest risk to people’s health. Cons: You lose out on the feel (read: flames) of a traditional wood-burning or gas unit. “Most people want to see a real fire,” says Schneider. As such, he gets few requests for electric, although it’s a growing market. Pros: Gel fireplaces—the newest type on the block—burn fuel in the form of a tin of alcohol-based goo. And since the emissions are approved by the EPA as safe for household use, the fireplace is ventless, making installation easy, unlike with an electric fireplace, you get a real fire! Cons: You need to buy the fuel, with each can lasting only 2 to 3 hours. Price: Around $500, with the gel cans costing around $3 a pop. Are you ready to buy a Lexington home? Now is the time! Mortgage rates have been falling for weeks now, and according to Zillow, they have dropped to the lowest level since 2013. Rates are still predicted to start rising later this year though, along with home prices. The sooner you begin the home-buying process, the better! 1. Check your credit score/report. Before you meet with a mortgage lender, you’ll want to check your credit score and your credit report. If your score is low, you might want to work on increasing it before applying for a mortgage. If your report has errors on it, you’ll want to get those fixed, which can take a long time. The sooner you begin, the better! 2. Get preapproved. Once your credit score and report are in satisfying shape, meet with numerous mortgage lenders in the area to get preapproved. It’s recommended that you meet with at least three, to see what options you’re offered before you accept one. By completing this step first, you’ll know what you can afford, and sellers will take you more seriously. 3. Find a real estate agent. If you try to buy a Lexington home without an agent, you won’t see all of the homes available on the market, you won’t have someone to get you in for showings, and you won’t have someone leading you through all the steps, negotiating for you and supporting you ever step of the way. The whole process is so much easier with an agent, and that’s what we’re here for! 4. Search for homes. You’ll want to choose a house and a location that will suit your needs now, but also years to come. Search the internet for homes, and use your agent to help you find the homes that fit your needs and budget. Once you narrow your search down to the homes that interest you most, your agent can set up showings to see the homes in person. 5. Do an inspection. Once you find the home that interests you most, make sure to set up a home inspection before making any offers. You want to make sure the home is in safe condition, and if there are any repairs or renovations needed, we can come up with closing terms that meet your satisfaction. Once you’re through all of these steps, you can make an offer! As your Lexington real estate agent, I will be with you every step of the way to answer questions, offer my assistance and recommendations, and help you negotiate a final offering price based on home prices in the area and inspection results. When ready to get started with your home-buying process, contact me! 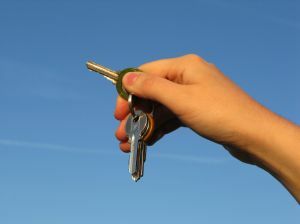 Let’s achieve your dreams this year in the Lexington real estate market. Take a cooking class with French Master Chef and our Executive Chef Raymond Ost! Call Us at 781-862-3900 to Sign Up Today!